Space is big. We know that. But how interesting is it? That remains to be seen. Let's take a look at the orbital bodies in our own solar system. Another big ball of gas with cool rings. Frozen world that spins backwards. 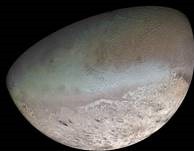 Check out this interview map of Io. Now, don't let my brief descriptions persuade you into thinking these worlds aren't super interesting. 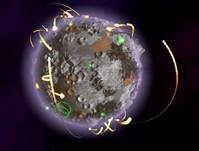 Only that, from a gameplay point of view, there are certain patterns we have seen in the worlds of our solar system. 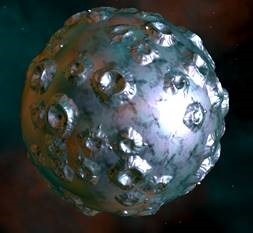 They're gas balls, ice balls, or rocks that are either hot or cold. That's a gross oversimplification of course, but you get the idea. A better way to look at it is: if you have thousands of planets and you want to have a really cool sense of discovery, you don't want to be discovering yet another ice world with lava tubes and maybe an underground ocean. 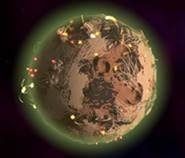 Many games have tried to tackle the issue of having lots of planet types, which often end up being Earth-like but with a single biome. In Star Control: Origins, we have taken a different route by creating planet types that are exaggerations of the traits that astronomers have suggested might exist. 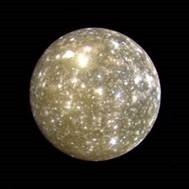 Planets made of metal, planets made of crystal or diamond, or various other exotic elements. Hell world. Has some rare elements on it, but very dangerous. Toxic world. Has some useful elements on it, but lethal to land on early in the game. Pretty much the same as the real one. 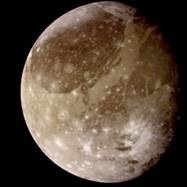 For Ganymede, we took inspiration from what artists believe the surface looks like based on research. 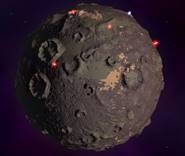 It's tan and cratered and has a varied surface. It’s also easy to land on. Europa remains an ice ball, but one with cool frozen oceans. 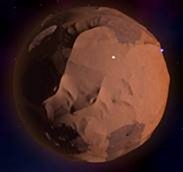 Still a dead rock, but we include some rare and interesting elements on it. Titan is again where we went off of what the surface may look like, which affects how it looks from space. Titan has an atmosphere, so it gave us an opportunity to add things like lightning and other hazards to make visiting it interesting. Let's take a trip to a brown dwarf star, that is itself orbiting a yellow main sequence star, which is orbiting a red giant. 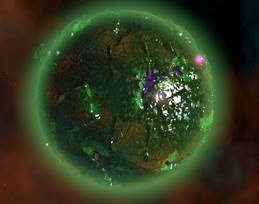 So what do some of these worlds look like? Extremely toxic world whose surface temperature is hotter than boiling water and has a much higher gravity than Earth's. It does, however, have exotic materials on its surface. 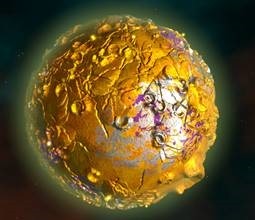 This world is filled with precious metals and is actually relatively safe to land on (though many have had various sentinel drones put on them in order to keep people like us from making off with the literal gold). This planet’s rotation is so fast that you are unlikely to be able to land on it unless you have upgraded your lander’s inertia stabilizers and weather mitigation equipment. But once down, it’s a rich world full of rare elements. This world is literally made out of copper. 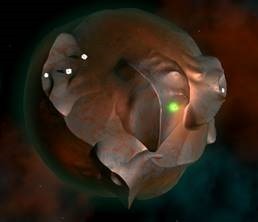 This world is covered in relatively rare free noble gas. 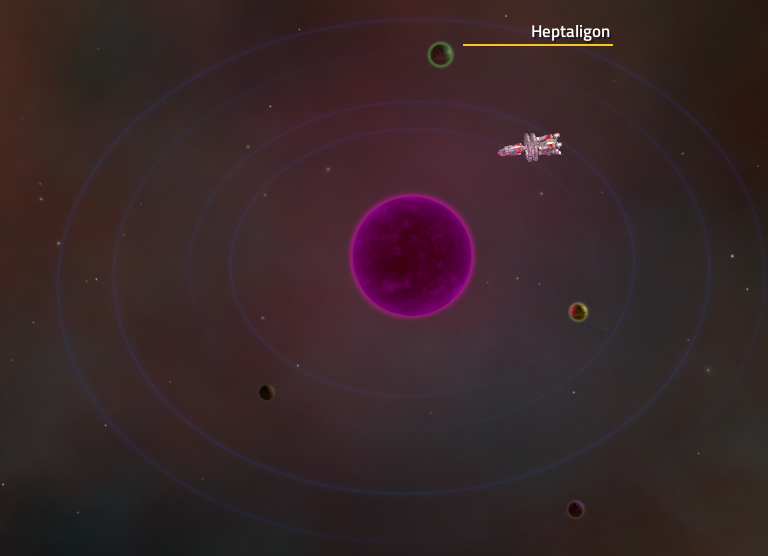 Star Control is not a game about exploring for the sake of exploring. Your mission is to ensure Earth's safety through any means you choose. 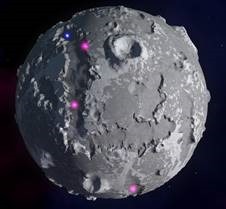 Different planets have different types of resources. 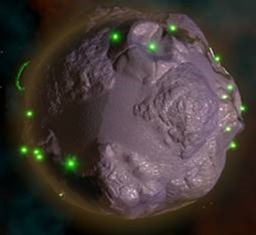 You can tell what type of planet it is all the way from hyperspace, so if you need a particular material or mineral you know what to do. Oftentimes you are visiting these planets based on a tip from someone else that there's a base, or a city, or an artifact, or some other objective. The point being, you aren't just visiting these planets for no reason and you aren't expected to visit more than a fraction of them. For example, let's presume that each planet takes 5 minutes to explore. And let's say there are 4,000 planets. It would take you over 300 hours to explore them all in a game where we expect your initial core mission to take roughly 20 hours (though again, there's no time limit and the universe will keep getting deeper and bigger over time as we and fans begin to fill it up with new missions and new adventures over the next several years). 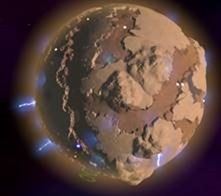 The point being, we only expect players to explore around 5% of the planets as part of their main mission. 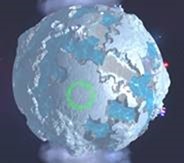 But making sure that each planet is unique and provides some temptation to check them out is a big part of what makes Star Control....well....Star Control.